HPI Ken Block Ford Fiesta WR8 3.0 Nitro Rally Car « Big Squid RC – RC Car and Truck News, Reviews, Videos, and More! To make their latest rally car even more scale realistic, HPI Racing has mounted up nitro power in their new Ken Block Fiesta WR8 3.0. 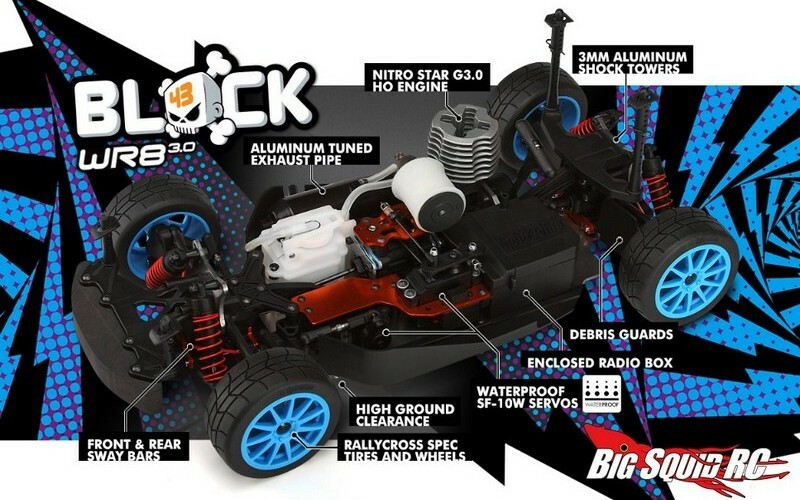 A Nitro Star G3.0 HO engine is used to give you the smell and sound of nitro, while the WR8 chassis is based off the Bullet 3.0 monster truck for maximum bash-a-bility. A scale realistic Ford Fiesta body with Ken Block livery sits on top, which should make it a real head turner when you meet up with your bash-buddies at the park. The part number for the WR8 3.0 is #112868 and you can get more information by hitting up This Link over on the offical HPI website. Click Here for more HPI news right here on BigSquidRC.